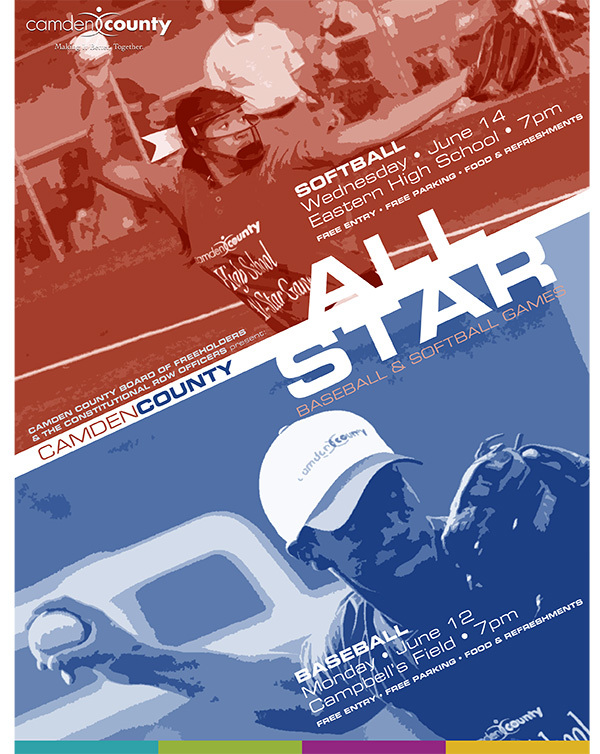 The Camden County Board of Freeholders and the Constitutional Row Officers present the Camden County All-Star SoftballGame on Wednesday, June 14 starting at 7PM at Eastern Regional High School. The 15th Annual Camden County High School All Star Games for graduating seniors who live in Camden County. Opening Ceremonies beginning at 6 PM with the game starting at 7 PM. Game and Parking is free.